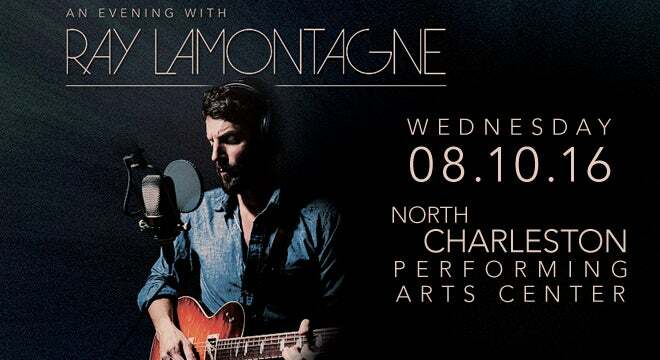 Grammy Award winner Ray LaMontagne announces Bassist Tom Blankenship, drummer Patrick Hallahan, guitarist Carl Broemel and keyboardist Bo Koster (My Morning Jacket) as the touring band for his upcoming 2016 North American Tour, including their stop at the North Charleston PAC! Ray will be touring in support of his sixth studio album, Ouroboros which will be available on March 4th via RCA Records. For more information or to purchase tickets online go to livenation.com.